This is my second worklog, but with a bit of a twist in that it’s not a build log for a water cooled PC. 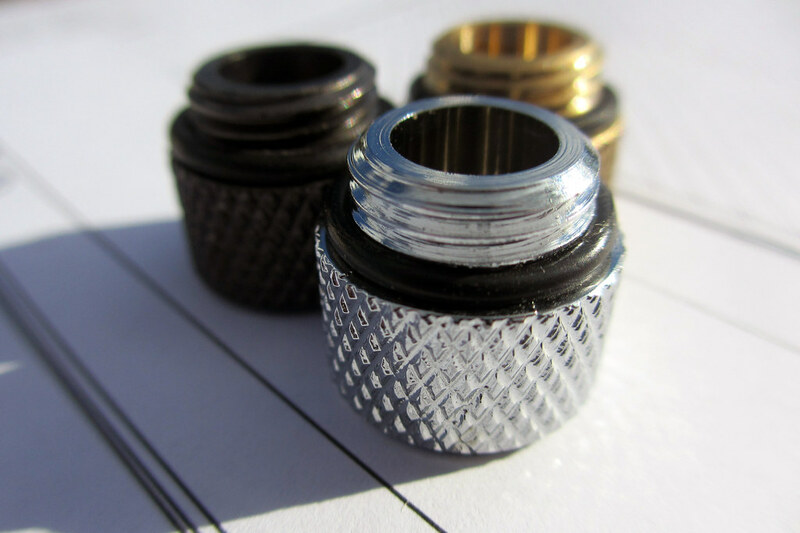 Instead, it's a build log to share the design and manufacturing process I went through in creating water cooling fittings. Hopefully you guys will be as fascinated as I was by the whole process! This worklog won’t be an 18 month odyssey like Massively was, I spent the latter half of 2013 protoyping and working through the manufacturing process. 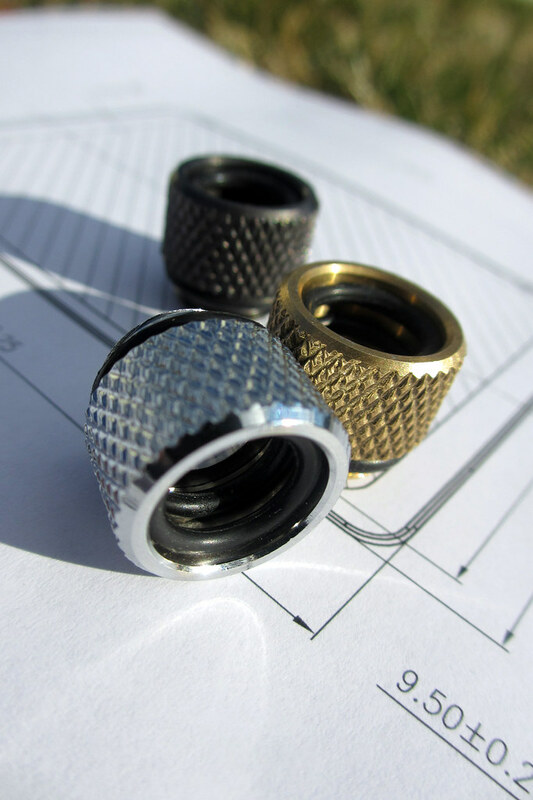 The first proper production run of the fittings has wrapped up and they’re already available I've started chatting with Kam from PCCG too so hopefully will have them available through there in the near future. 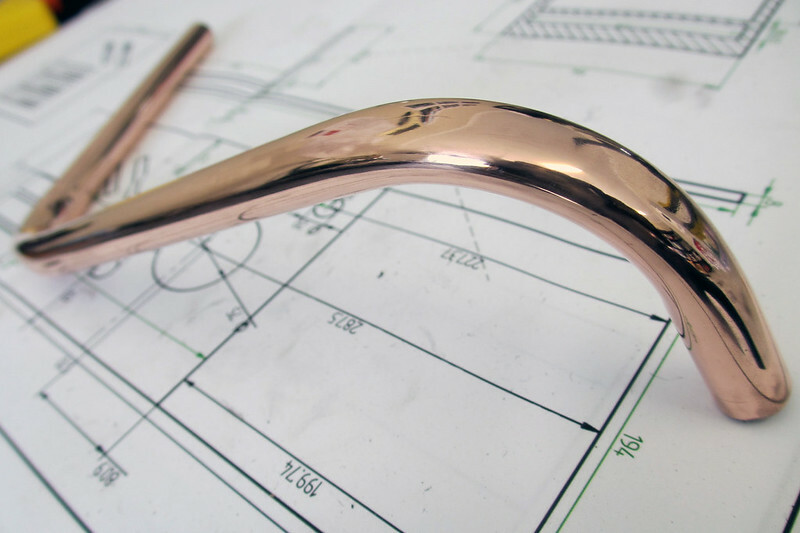 I ran into issue after issue in wanting to use copper though– essentially because in Australia our plumbing system is still based on imperial sizing and the type of copper pipe I needed wasn’t available anywhere in the country. I ended up having to go to great lengths and expense to import the right pipe. You can read more about my copper pipe hunt in this post if you’re interested. When I did finally get my hands on the right copper I really enjoyed working with it and was incredibly happy with the finish. I’d had several people message me on the forums asking if they could buy any of the copper pipe I had left over. 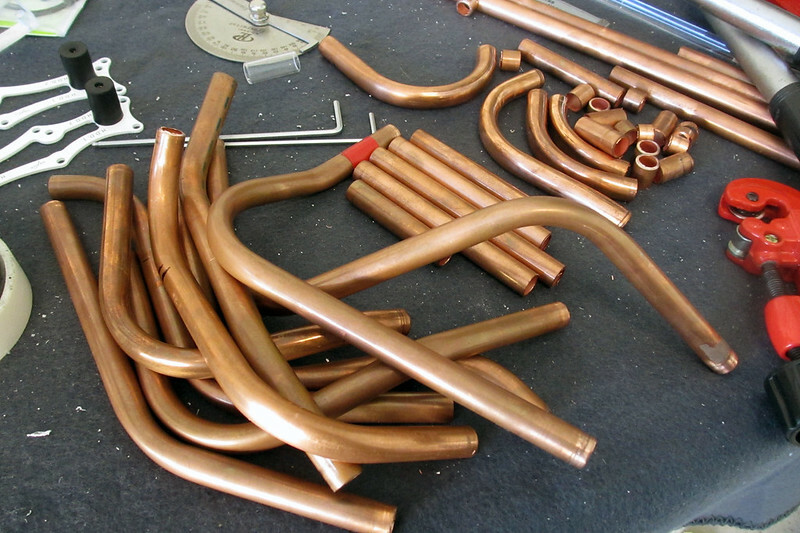 It was this interest from the community that initially led to me looking into the option of mass importing copper pipe from overseas - but the weight, expense, shipping and re-shipping costs all conspired to make that option not a very viable choice. That’s when it occurred to me that fittings to use with locally available copper would make a lot more sense. They’d be substantially cheaper to post compared to lengths of copper pipe, take up less space and best of all would suddenly mean locally available copper pipe could be used by modders. Why bother with a worklog? You guys came up with some awesome ideas over the course of my Massively worklog and I don’t expect that will change for this one. I’m really eager to hear what you guys think and pretty excited at the possibility for further innovations and creations as a result! For this project I teamed up with a friend, Hugh, who like me also works in the Water industry. He’s a project and design engineer who puts together big stuff like Containerized Desalination devices for overseas and is an absolute wiz as far as modelling goes. Even better, though, is the fact that Hugh is originally from China which has created amazing benefits for us in terms of dealing with overseas factories. Good communication has allowed us to avoid huge pitfalls that you might expect could easily come from miscommunications around any combination of technology, language and culture. I’ll divide the posts/updates for this worklog into a few key sections and can expand or add sections as needed based on any extra stuff you guys are interested in hearing about. I might leave it there for the initial post and wait a few days until I get into the design and prototyping stuff. I think it makes for a much more fun (and engaging) worklog experience if I can tailor successive updates to include answers to questions you guys have as well as focus a bit more on areas of interest you highlight. Haha, hey mate haven't met him, just swapped a few emails so far but here's hoping! 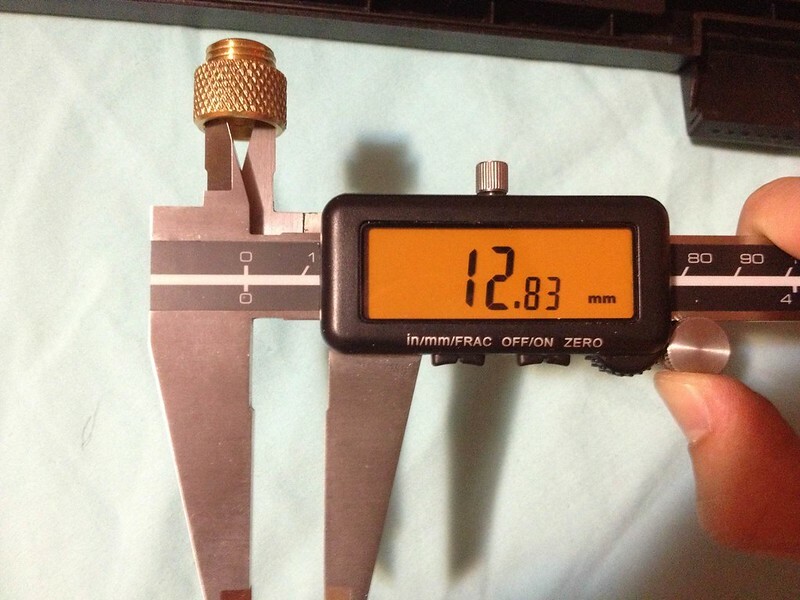 when you say you had issues with sizing for fittings where you talking to big or too small. this is a great idea dude! 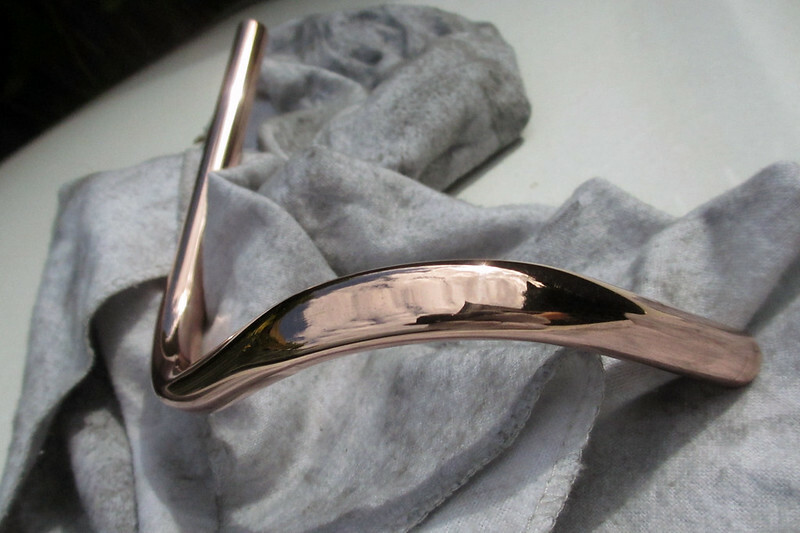 shame im not inot wc any more otherwise i would do a build with polished copper ! Will the copper tarnish over time simply through oxidisation or is the polish likely to provide adequate protection? 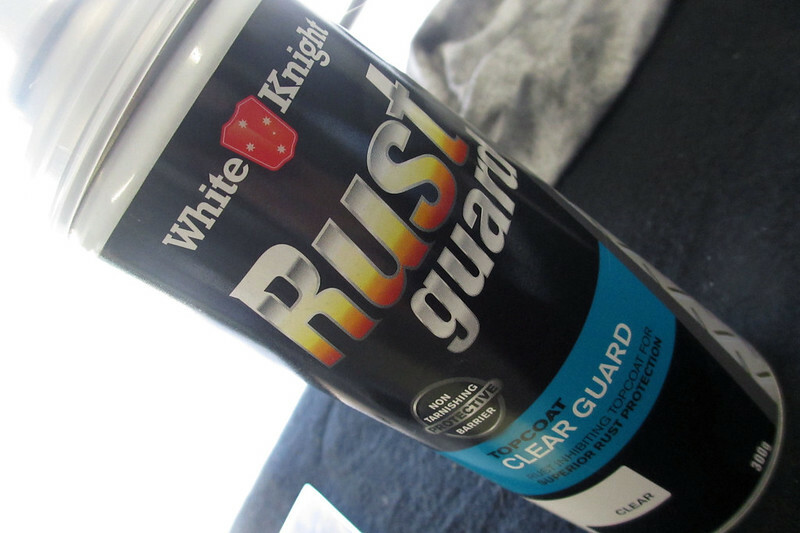 you'd have to clear coat the copper, no other way to stop it tarnishing. when you say you had issues with sizing for fittings where you talking to big or too small. As would it be cheaper to get some slighter larger pipe and machine to the correct OD size? 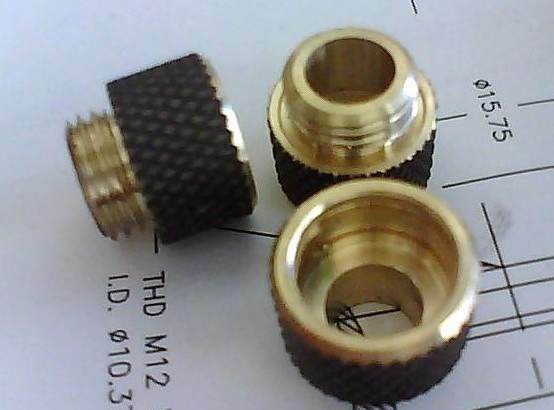 Yeah as Frank alluded to the issue I ran into on Massively was that the Bitspower c47 fittings the Europeans are using for copper pipe are for 12.0mm OD tubing. Our hard drawn copper pipe in Australia and the US is 12.7mm OD so just doesn’t fit. Removing .35mm of wall thickness on a lathe was an option at the time but would have been a lot of added work especially since I was new to working with copper. If you’ve got the time it’s worth having a read through the 'Great Copper Pipe Chase' update I did during my Massively worklog. 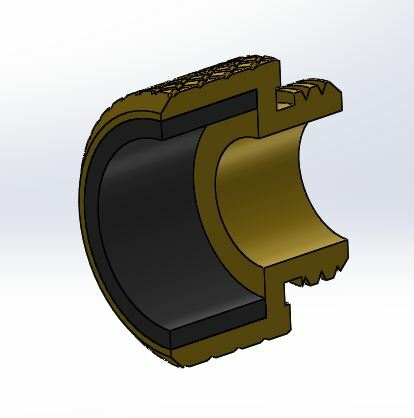 I talk about a lot of the troubles sourcing copper pipe and there’s some good discussion in that thread of options like lathing the pipe and/or fittings to make it work. It’s been 6 months and it still looks great. Even if oxidation over time from contact with air wasn’t a problem you’d be crazy not to put a protective coat on it. The oil from skin on your fingers is enough to leave an imprint (which will appear a week later) so if you don’t have a topcoat and accidently touch it while putting components you’ll ruin the finish. Ive thought about copper tubing for a while now to compliment a lian li pc-60C. 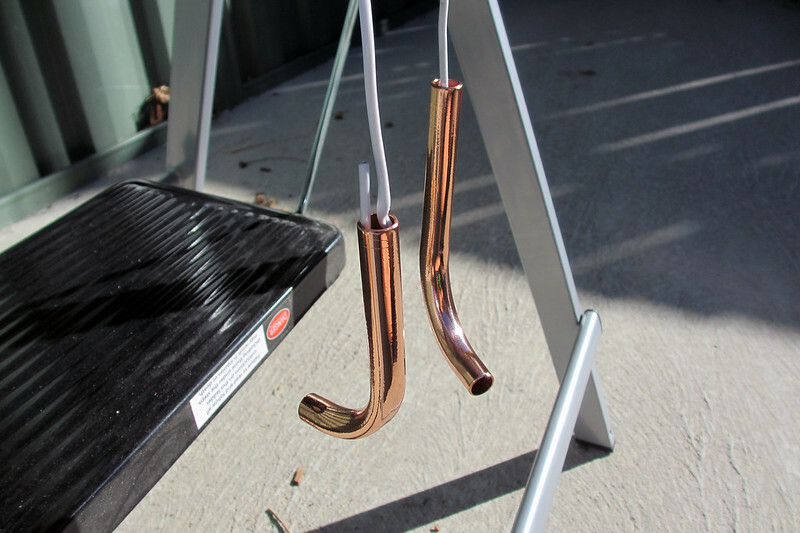 I simulated using Primochill Rigid Ghost/revolver with 1/2in OD copper tubing I found in bunnings on the top of my head and I think it might work. Or am I wrong? Looking good sate. Can't wait to see your range and packaging! Very exciting times! Its a good question - I sent some fittings to Bill Owen at MNPC to play with and he mentioned the fit with the primochill tubing is pretty tight. I bought some of it and the OD seems to be slightly larger than the 12.7mm copper I have so I'm not sure yet. I'll post some pictures of my tests later on in the worklo. Interestingly while I was writing this up I discovered this thread on the primochill tubing. 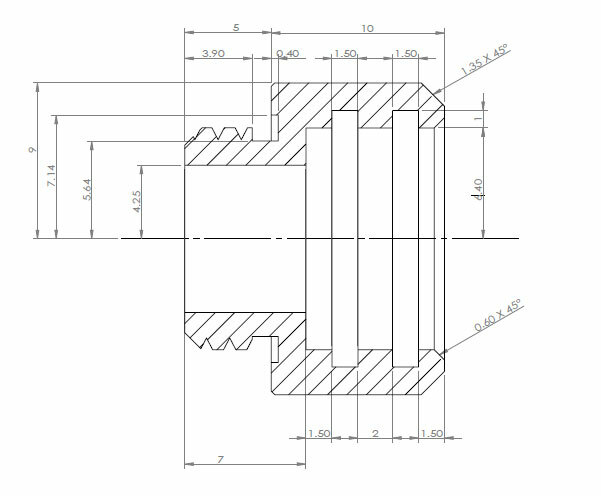 It really makes me happy to see the comments on that page about push-fittings for half inch tubing not existing, there's definitely the demand out there I think! What did you use Saate as your water / coolant / etc in the system ?? Just that I read mixing copper with other alloys in your system is no good. I may have that wrong, ready to be corrected. 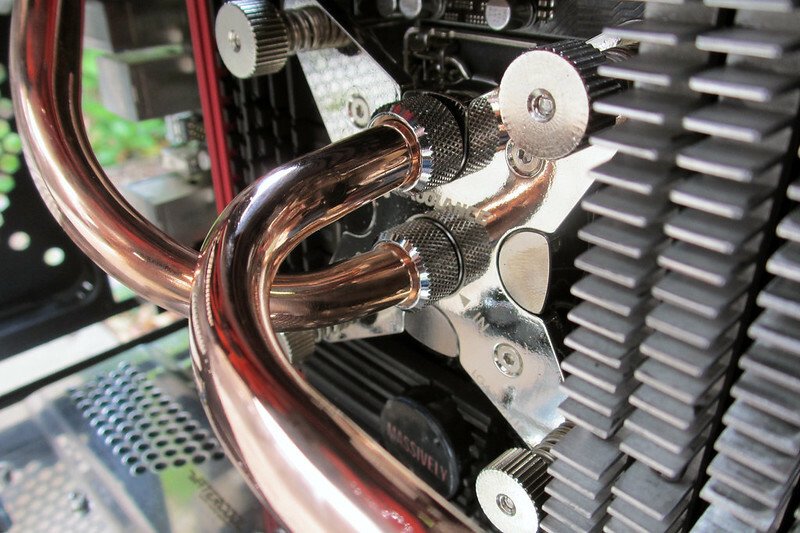 + I have the same cpu block to try soon & the copper pipes look so tempting. yeah after reading you post about acquiring the tube and saw it was .7 larger i thought it would be rather easy to just take off 0.7mm off the last like 10 - 15mm of tube (the part that would go into the fitting), at least with only doing the ends you can still polish up the rest properly. The push fit fittings are the ones in the back right corner. I have never really been a fan of monsoon design but plenty of people seem to be. 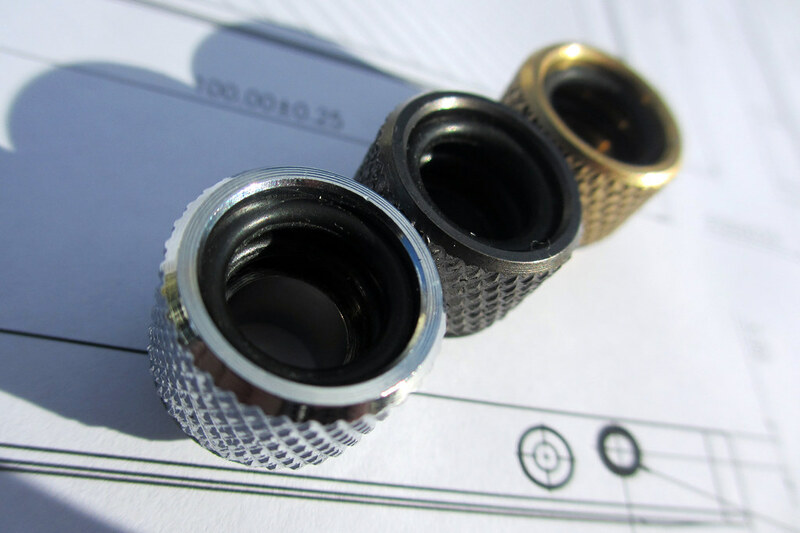 I see the so called budget version being far more popular than the over complicated compression hardline fittings they are promoting at the moment. Having to glue parts is way more effort than is necessary for DIY'ers. Maybe for full on pro system builders like Origin etc they would be more appealing where they build multiple systems that are much the same and have to be shipped. I have yet to see a hardline fitting that was more appealing than good old C47's. To me the compression style look too bulky and awkward. Your ones look great and if I ever switch from acrylic to copper they will be first choice. Well done! Its great to see Aussies getting involved in this stuff. So starting out with the basic premise “I want to make fittings” and not having any idea where to go from there is pretty daunting. 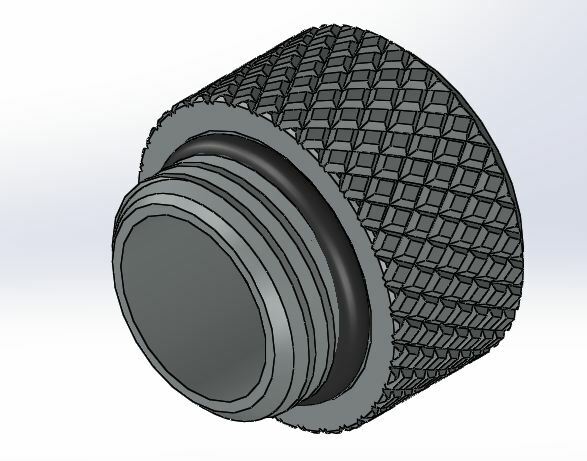 Apart from the product design and 3D modelling perspective there’s the issue of huge costs for prototyping and where small runs (of, say, less than 10,000 fittings) are concerned. This is where Hugh’s experience really saved me. In addition to his design and modelling stuff he’s done lots of prototyping stuff in the past so already had relationships and ready access to manufacturers in China. Without that I don’t think I would have considered going that route for the manufacturing, mainly because I don’t speak their language (technical or otherwise). With a technical project there’s just far too much opportunity for miscommunications to happen, and sometimes even when you confirm 100 times that you want “100 blue widgets” you can still end up with 76 pink widgets. 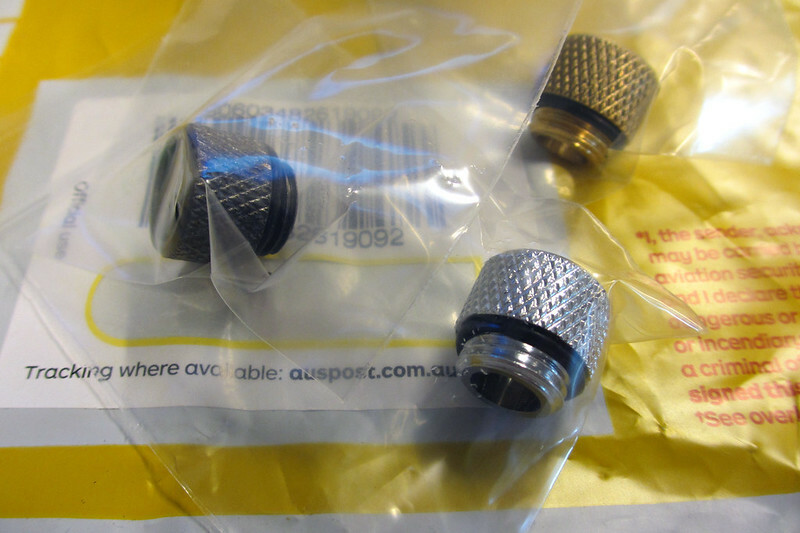 I had very specific requirements for my fittings and knew I wouldn’t be comfortable selling them if I wasn’t 100% happy they were achieved. Now at this point I should remind you guys, the events in this worklog took place over a period of nearly 6 months. So while I’m sharing the steps involved keep in mind that lots of planning, discussion and most importantly waiting/anticipation went into it So when I tell you that maybe 6-8 weeks into the process and saw the following low res mobile phone pic of the prototypes I was ridiculously excited – they were really real and happening! 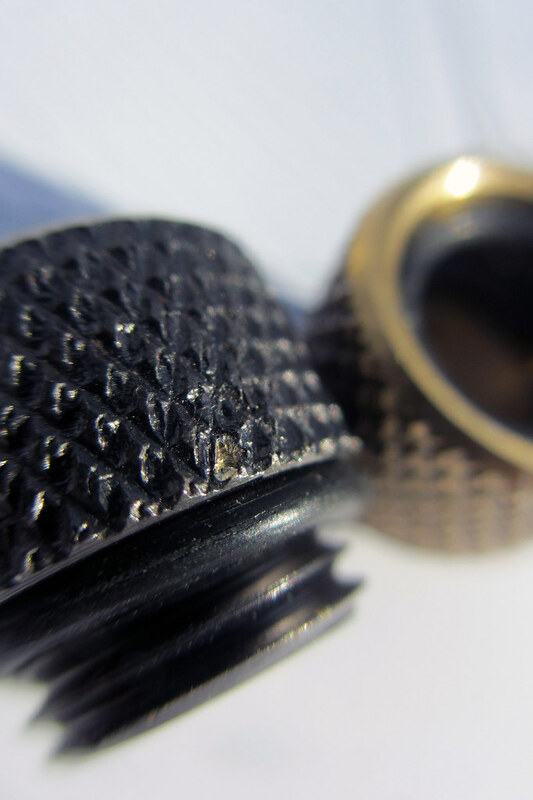 We arranged or three copies of the prototype to be made, the material is brass. 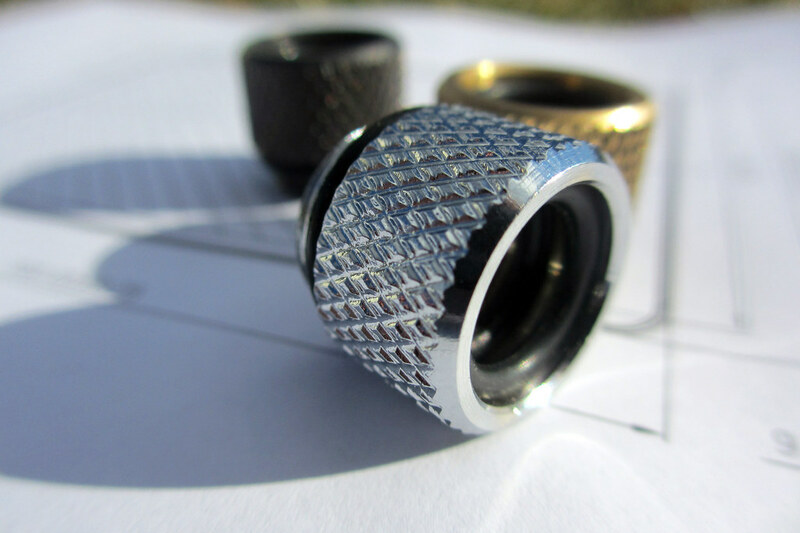 The main reason for three copies was so we could see how they looked with different finishes but also to ensure the tolerances on their equipment were tight enough that each fitting didn’t differ in dimensions. Checking the ID to make sure it can accommodate a 12.7mm tube – yep! After the prototypes were finished they went off to another factory for the plating/finishing. The factories don’t do plating runs for something as small as this so there was a bit of waiting involved until they could go in with another big batch. After that it was time to wait for them to arrive in the mail. So this is the reason we prototype! As you’ve probably noticed, there’s something funky going on with the internal o-ring fit. Probably that, well, they don’t fit! 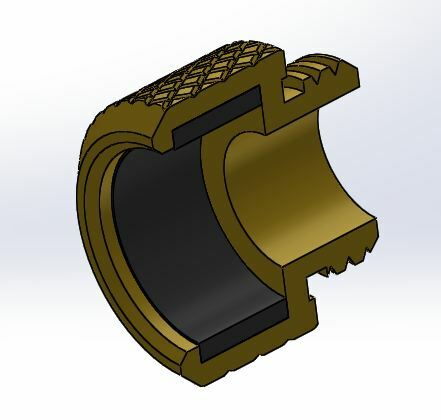 We figured out that we’d based dimensions for the internal o-ring grooves on the wrong kind of o-ring, so they were out just enough that the 12.7mm o-rings were not slotting in. Doh! 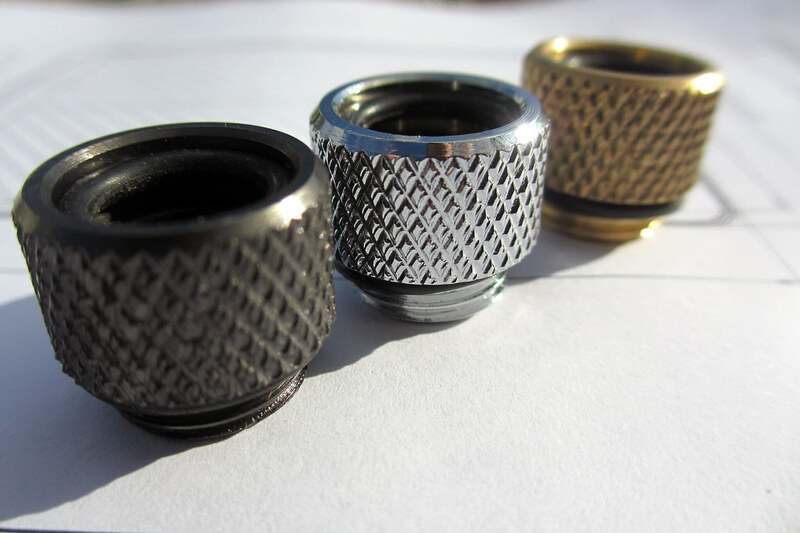 The other problem was that the black nickel plating was problematic, of the three fittings shown in the picture they’re unfinished brass, silver nickel and black nickel. The brass and silver both look great but the black nickel plating didn’t seem to have worked – in this next photo you can see where a piece of the plating has come away. 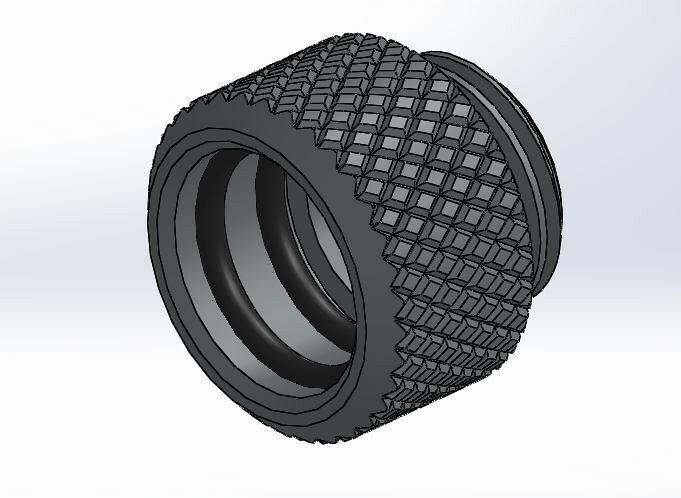 So ahead we went and ordered the second round of prototypes. I think I'll save the results of those for the next update, though, as looking back I've prattled on a fair bit. 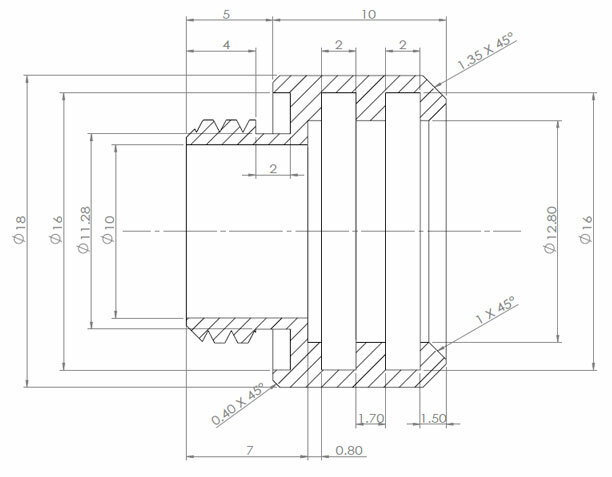 quick stupid question: does anything besides O-ring friction retain the tube in the fitting?